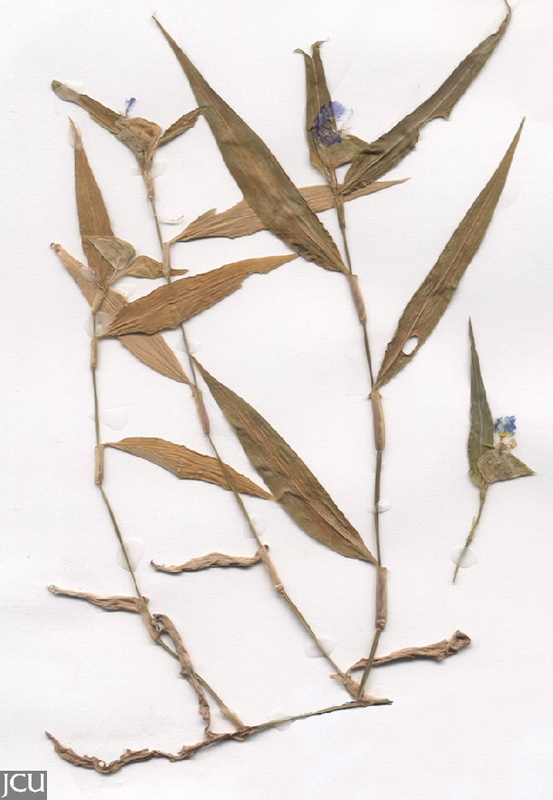 Leaves alternate, lanceolate, clasping the stem. 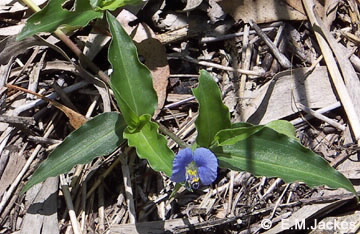 Flowers blue with 3 clawed petals to about 1 cm long subtended by a spathe. Petals unequal in size.